Clover Meadow is the only certified organic, travel green winery in the Midwest. Winemaking has been in our family for over a century and our family continues the tradition using ancient methods developed in 3rd century abbeys and monasteries. 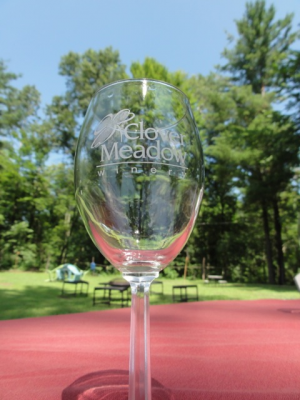 Clover Meadows vineyards and orchards are nestled within some of the oldest forests in Wisconsin’s beautiful Bashaw Valley, known for its clear spring water and mild growing season. These natural resources, along with our sustainable, eco-friendly growing philosophy, create fresh, pure organic wines that delight the senses and compliment any occasion. Our wines range from the eclectic dandelion and onion wine to the wonderful nouveau style and table wines. Clover Meadow has a wine for everyone. The commitment to sustainable, organic growing methods didn’t stop there: far from public sources of water and electricity, our pristine acres are irrigated from a man-made pond that efficiently collects rainwater and snowmelt, and powered by the wind. Be sure to stop by our cafe’ to enjoy some delectable treats to accompany your wine.